- Copyranter rants about an Embassy Suites ad that promotes a spinach omlette which he says couuld have been pulled following the recent outbreak of spinach-based e. Coli. Oh well. Slap that media planners hand hard now. 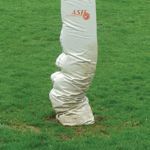 - New Zealand anti-smoking organization ASH placed padding on goal posts and then crushed it down to make it look like cigarette being put out. - In the continuing saga of credit not being placed where credit is due, two execs from SS+K apear to take full credit for creating the Lance Armstrong bracelet campaign in the New York Sun without nary a mention of Wieden + Kennedy. We'll caveat this whole story first by saying B.L. Ochman realizes she should have noticed the monthly fraudulent charge that's been hitting her credit card each month since January. Ochman saw the $19.95 charge recently and noted is was for a subscription to AdWeek to which she never subscribe Noting the account had never been logged into, AdWeek acknowledges the apparent mistake but would only agree to refunding three of the nine months Ochman was on the subscription list. Knowing Ms. Ochman well, AdWeek would have done well to simply refund the entire nine months because B.L doesn't just let these things slide. It's not the amount, it's the principle that irks her and, in true Ochman form, she's written a letter to MasterCard calling he charge fraudulent, hunted down VNU CEO Bob Krakoff to send him a copy of the letter, cc'd New York Attorney General Elliot Spitzer and notified us right here at Adrants. Not that we carry any weight. For a measly $179.55, one would think AdWeek could have swept this quietly under the carpet. But nope. On the day after visiting Boston's Hatch Awards, our hangover just won't allow us to concentrate on real news because this stuff is so much easier and so much more fun to write. 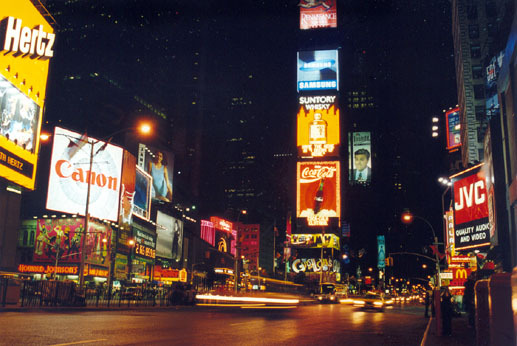 While it won't effect Times Square, New York's Bloomberg administration is moving forward with efforts to enforce Local Law 31, a 2005 law that restricts certain types of outdoor advertising structures which were built after 1979. The City wants to dismantle 50 to 60 percent of the boards, reduce the size of others and place restrictions on those that remain. Reacting to the move, OTR Media Group President and CEO Ari Noe said, "Banning billboards and scaffolding signage will cause a significant financial loss for many different sectors of the economy - property owners, local businesses, union labor, advertising agencies and advertisers," Particularly hurt by this move would be stores who are undergoing renovation and who advertise on the scaffolding to make sure people know they are still open for business. While it might be everywhere, outdoor advertising to us is the least invasive and annoying ad medium of them all. They just sit there, You don't have to look at them and they don't interrupt programming as literally every other form of advertising does. isn't there still crime here in the city that needs to be dealt with instead of this minutia? George Parker tells us the story of a German magazine that fell prey to the openness of the interweb or, perhaps, was just plain stupid. The Cologne-based magazine, a yet-to-be-launched book aimed at teens, called Objektiv found an image of a model to use in a promotional piece and slapped the headline, "Deutsch Ist Geil!" or "German is Hot!" next to her. While it's very easy to troll the Internet for millions of images that suit any particular purpose, the group behind Objektiv found the image of the girl, 19 year old Czech model, Jaimy, on her site, Sweet Natural Girl, a psuedo, semi-pornish, girl next door type site. These kind of sites, whose sole revenue stream consists of drooling, horny guys who will throw money at anything just to see fleshy hotness, don't take kindly to their images being used in such a widespread manner by a for-profit entity without remuneration. Obviously, legal action has ensued. Apparently, the fact she's Czechoslovakian didn't sit well either but that's for you political types to analyze. Yes, it's happening as we said it would from the start. MySpace users are complaining about the proliferation of corporate profiles created by marketers eager to tap into the 100 million people on MySpace. 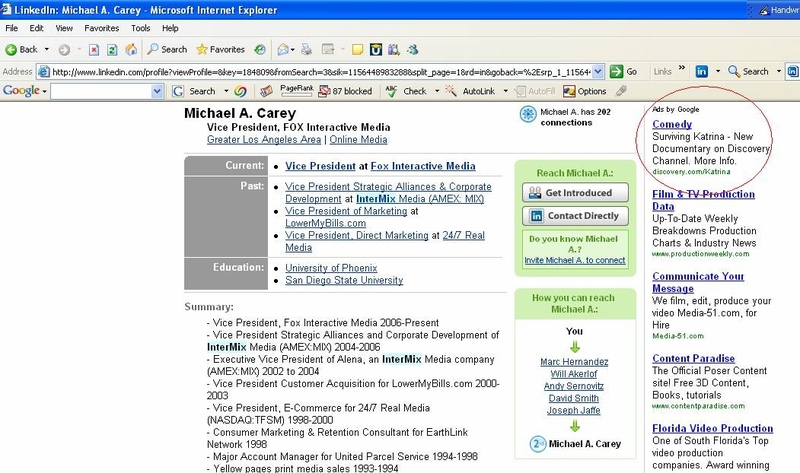 Of corporate profiles on MySpace, one person tells MediaPost, "Frankly, I think that's going too far." Frankly, we agree. While for a marketer, it's impossible to ignore the allure of 100 million people, the proliferation of advertising on MySpace is akin to Coke placing it's logo behind the cross in churches across the country. The two just don't go together. Certainly this practice is not a new one but one Minneapolis Adrants reader took note of the new agency Pocket Hercules' use of its founders work done while they were at Carmichael Lynch and wrote, "You didn't hear it from me. (Minneapolis is a small town) You should look at the site of the agency started by super star creatives from Carmichael Lynch. pockethercules.com Their marketing strategy is " little agency vs. big holding company agency." But then look at the work they have on the site. It's all Carmichael Lynch work. (GREAT CL work) Now, I'm no lawyer, but isn't it illegal to use another shop's work even if you worked there? Anyway, I thought it was ironic." We don't think it's illegal and we're sure someone will tell us if it is but what agency on the planet hasn't done this before?